Grab your diary and text the crew – these are the events you don’t want to miss in Hong Kong this month. Just when you thought the madness of March was over, April shows up with Rugby 7s, two major concerts and even some of the hottest dancing in town. If you thought Christmas was the most wonderful time of year, then you’ve clearly never woken up before dawn, put on a banana outfit and then hit up the Rugby 7s South Stand. It’s debauchery at its best (and there are rugby matches too). In fact, it’s considered the best of the World Rugby Sevens Series competitions, and people look forward to it all year long. This year it’s happening 5 – 7 April, and if you didn’t get lucky in the lottery, there are plenty of other ways to enjoy the weekend, like the Official Hong Kong Sevens After Party at Lan Kwai Fong. For more information about the Hong Kong Rugby 7s, check out their official website here. There’s no need to keep ‘Dreaming with a Broken Heart’, because the master of ‘Heartbreak Warfare’ is finally coming to Hong Kong! John Mayer is bringing his sad eyes, soulful songs and top-notch Instagram to the Hong Kong Convention and Exhibition Centre on 8 April, 2019. Expect two full sets, with a blend of old and new favourites. Tickets to see the seven-time GRAMMY winner sold out fast, so we hope you got yours in time! John Mayer performs at the Hong Kong Convention and Exhibition Centre on 8 April, 2019. For more information, see here. If you didn’t get tickets to John Mayer, hopefully you snagged one to Ed Sheeran’s Divide World Tour 2019. The “Shape of You” singer will be back in town 17 – 18 April, 2019, to replace gigs he had to cancel last year after a bicycle accident. He’ll be playing at Hong Kong Disneyland, officially making it the happiest place on Earth (sorry Mickey). Catch him before he jets off to Singapore, Tokyo and Bangkok! 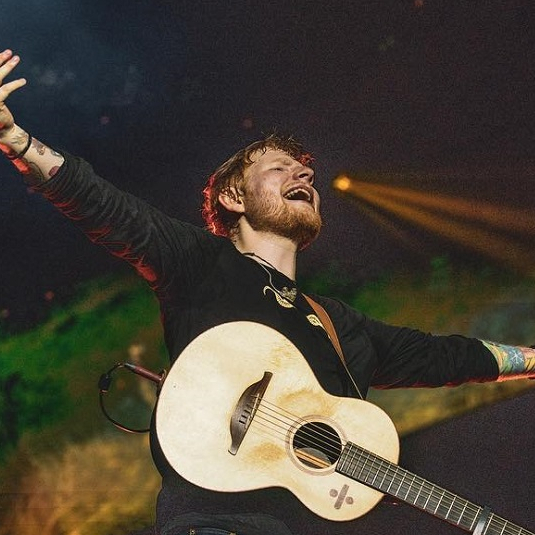 Ed Sheeran will perform at Hong Kong Disneyland 17-18 April, 2019. For more information, see here. A weekend of wellness, movement, music and great food? Sign us up! IRIS: Your Escape returns to Central Harbourfront for its eighth installement, which promises to be bigger and better than ever before. The two-day festival brings together over 80 of the city’s top fitness stars and instructors to get you moving and grooving and living your best live. It’s the place to go for the best workouts, meditations and more. If you haven’t been before, you can read all about here. Tickets are selling fast, so if you haven’t gotten one yet, don’t wait too long! IRIS: Your Escape will be at Central Harbourfront 27 – 28 April, 2019, and tickets are available through Juven. Hong Kong is full of surprises. For one, who knew the city had a thriving Flamenco scene? Esencia Flamenca Limited is a dance school formed in the 852 to build a thriving community of dance lovers. Now, they’re presenting their latest show, The Elements, to show the city the best that Flamenco has to offer. Their incredible teams of dancers, headed by the legendary Adrian Santana, will be joined by some of Spain’s best singers and guitarist to create an authentic flamenco evening. Book your tickets now for a night of dramatic and beautiful dance that you can’t find anywhere else. Escencia Flamenca Limited presents The Elements on 28 April, 2019 at Y-Theatre, Youth Square, Chai Wan. Tickets are available now through Urbtix.com. For more information see their website here. Make sure to tag your photos with #LKF for a chance to be featured!